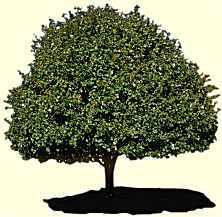 My name is Ian Tresman, I'm married to Caroline, and this is my family tree page. If you're interested, here are some hows and whys on genealogy. I first started a family tree some 25 years ago in my teens. Why? I still don't really know. Some people are just curious about where they came from, and coming from a Jewish background, I knew the family hadn't been in England for more than three or four generations. Unfortunately I lost all my research, and started again in April 2002. The good news was that there was now computer software to help manage the information, and the Web to help look for data. The bad news was that a whole generation of relatives had died since the 1970s, and many answers would not be forthcoming. Caroline decided to research her family tree too, and we went about finding some software. In the end we chose Family Origins, and later Family Tree Maker because it did better printouts. I would recommend that you choose software that is GEDCOM compatible; this is a file standard which facilitates the exchange of genealogical data. The first place to start is one's own family, moving backwards in generations, and outwards to aunts and uncles and then cousins. There's always the chance that you'll find someone who has already done similar research. And thanks to my aunt Vivi, and my first cousin once removed, John Tresman, I found two such sources of the framework of my family. I was able to enter about 300 names into my software. Of course you quickly discover that while many members of your family share certain ancestors, that going back just four generations means 16 great great grandparents, and 16 family lines. Only oneself and one's siblings share them all with you. The older generations are an invaluable source of information. But don't be surprised if names, dates and places are recalled differently to how things really were. You may need to talk to people over several sessions, focussing on a small number of individuals at a time. There are thousands of genealogy Web sites out there, many specialising in specific countries and cultures. There is no one site which has all the answers. Some of the ones I have used are listed in the Resource box elsewhere on this page. But one of the largest resources of genealogical sites is called Cyndi's List currently listing over 175,000 other sites in many categories. Old family photos can also be useful... as long as they're labelled. Sometimes there are also notes written on the back. But if they're not labelled, try and find some older relatives to help; it might also help jog their memory. Another recent discovery was that Jewish tombstones often include the name of the father in the Hebrew inscription; the English is not an exact translation, and omits this information. My family is blessed with uncommon surnames. On the one hand, finding individuals with the same surnames makes it fairly likely that we are related; on the other, many families changed the Eastern European sounding surnames to others that are now harder to trace. For a variety of reasons, not everyone is interested in one's family tree. Apathy, privacy reasons and skeletons in the proverbial closet. Those who are apathetic may have close family who are far more interested. Privacy does not really extend to general paranoia, but that you may discover relatives who have been married before, dates which different from the official figures, and unacknowledged children. While discretion and diplomacy is sometimes required, don't forget that we are all one big happy family! The options below are in Adobe Acrobat PDF format , and require Adobe Acrobat Reader (available for free download here). These options are best for printing out.